Thanks to El for checking in from 55.92340728 miles north of Montreal! And thanks also for the laugh. I'm glad the trick worked in French. As an aside for those who have been following the blog, perhaps you have tried the math magic trick. Virgil has offered a good and easy solution for my zero/nine issue. He suggested that you just tell the your audience to pick any number but zero as it has no value. Therefore, if your addition comes to a multiple of nine (and if your audience hasn't picked zero), the number chosen has to be nine. Thanks for the tip! Hearing from El and thinking about funny geography (New Mexico/South Dakota overlap) got me thinking of yet another odd geographical anomaly. 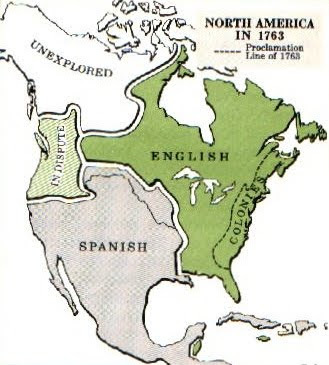 At one time the Kingdom of France claimed a sizable chunk of North America. 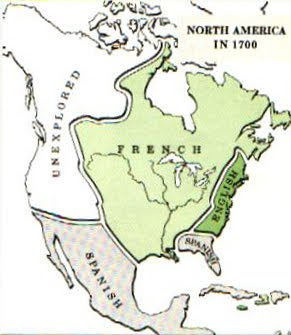 Of course, the French and Indian War (or Seven Years War) ruined the dream of a greater New France. The 1763 Treaty of Paris resulted in a massive territorial swap with Great Britain being the obvious winner. Pretty much England got back everything that was taken (the Island of Minorca in the Mediterranean and trading posts in Sumatra). But in addition to getting those back, England also kept much of what it conquered and some other lands. Almost all of French Canada and the islands of: Dominica, Grenada, St. Vincent and the Grenadines, Tobago, and all of French Louisiana east of the Mississippi River. It also picked up Florida from Spain (a French ally). You may have noticed that I said England got "almost all" of French Canada. 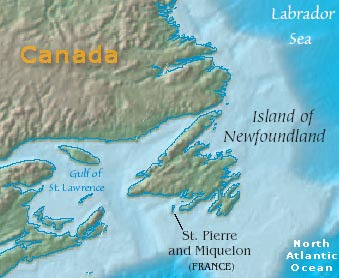 In the Treaty, France was allowed to keep two tiny North American islands: St. Pierre and Miquelon (actually eight islands if you include the really tiny ones around these two), for the purpose of drying fishing nets. This reduced the geographic area of New France from half a continent to 93.4 square miles! 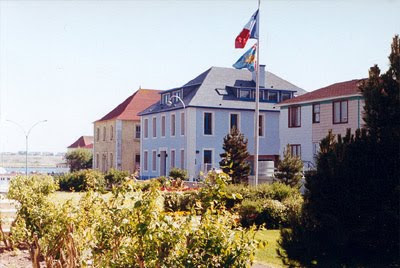 Over the next few years, the islands traded hands a few more times eventually landing back in French control. Fast forward to World War II. When France fell to Germany, St. Pierre and Miquelon fell under Vichy rule. 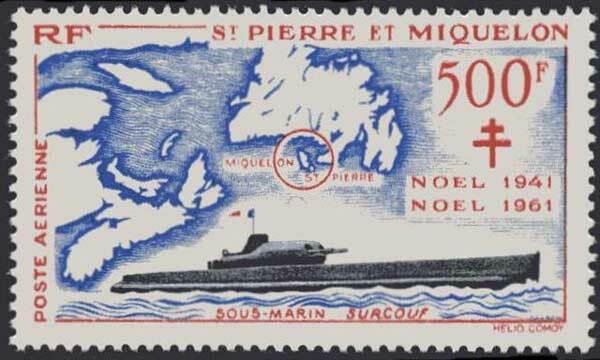 Since the Vichy French were allied with Nazi Germany, Canada considered an invasion of the islands. However, before the plan could be undertaken (and without the knowledge of Canada or the US), de Gaulle dispatched a Free French flotilla (led by the submarine cruiser "Surcouf") to capture the territory (those interested in naval history should definitely read up on the Surcouf). 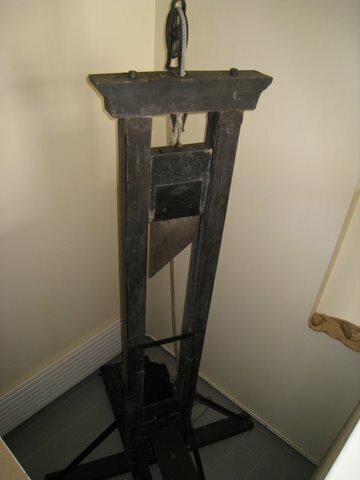 And before someone can say that I've lost my head talking about geographic anomalies, I should add that the only time the guillotine was used in North America was on the island of St. Pierre in 1889 to execute a murderer! I love your history lesson from yesterday. I'm teaching an 8th grade class History class bout the American Revolution, and have just taught about the Proclamation of 1763. It was nice to see it on your website! I feel that I should know all of this but I don't. Thank you for the lesson. Now I wonder if Quebec would have welcomed to be captured by de Gaulle also. I'd better leave this subject alone.